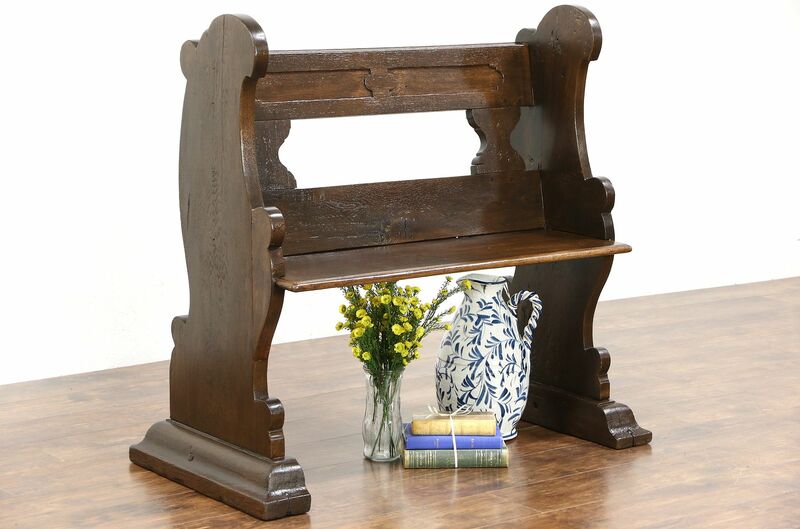 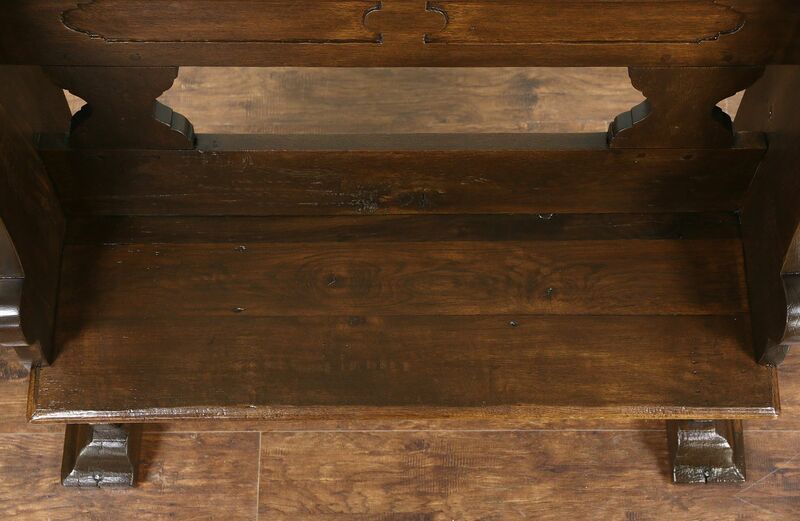 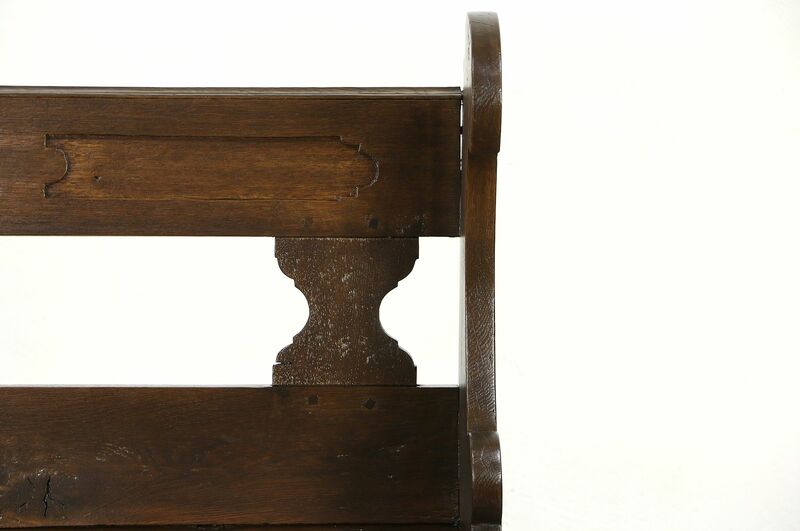 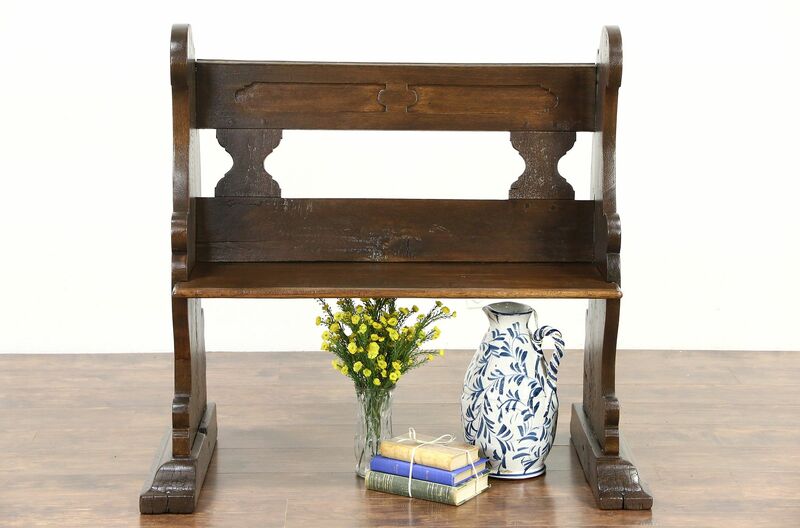 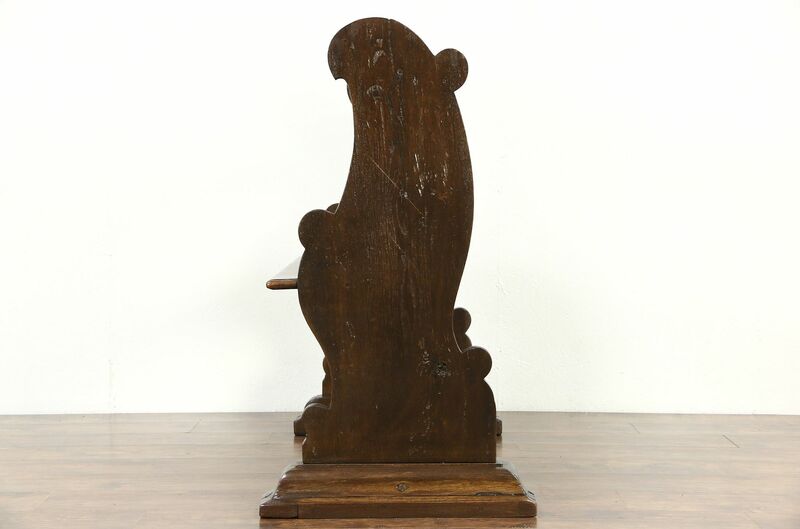 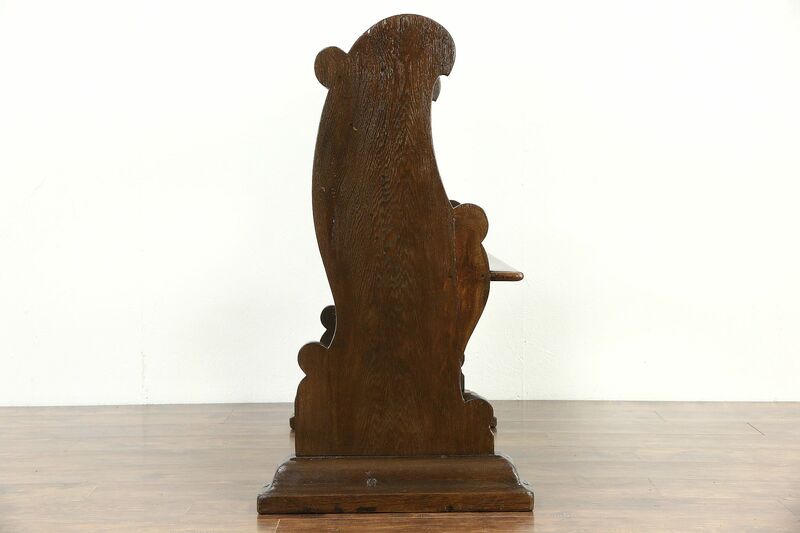 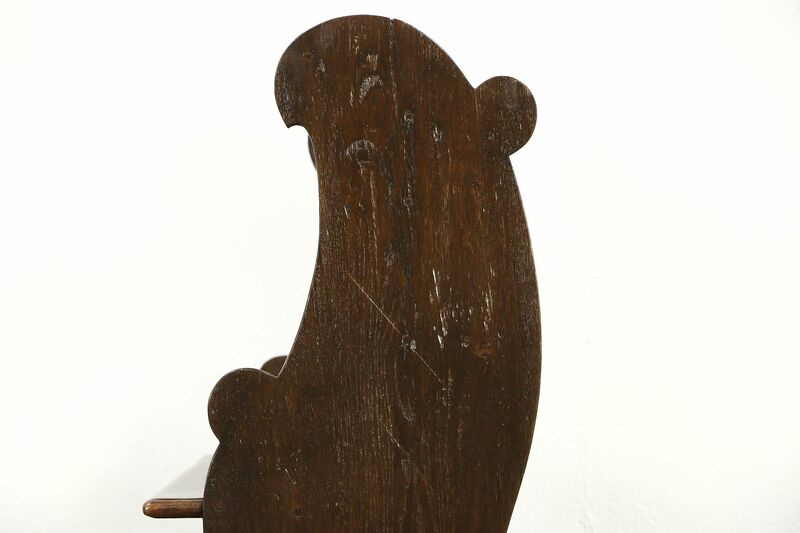 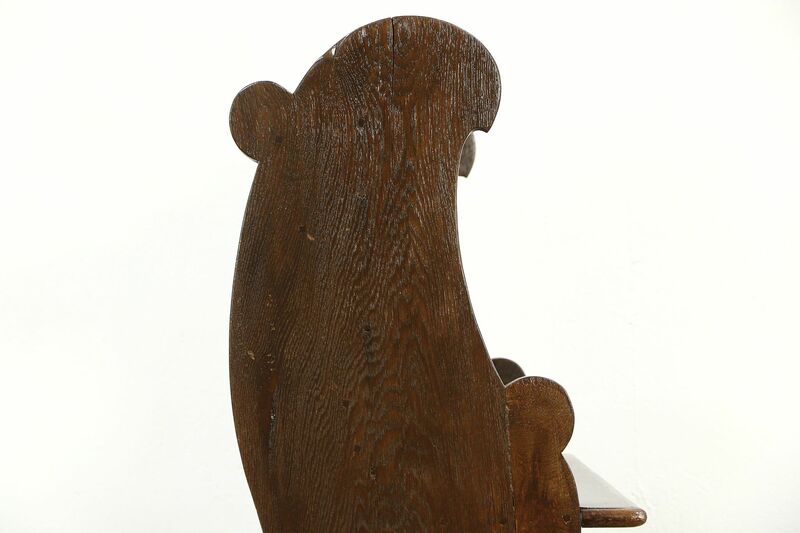 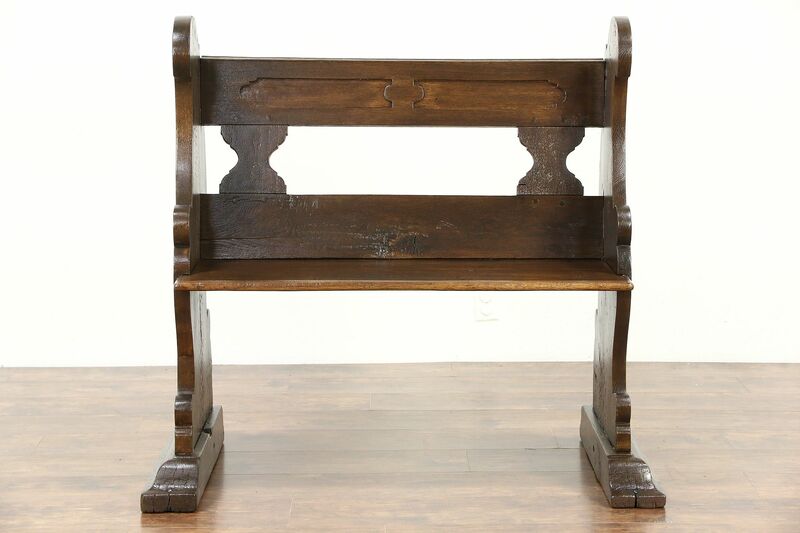 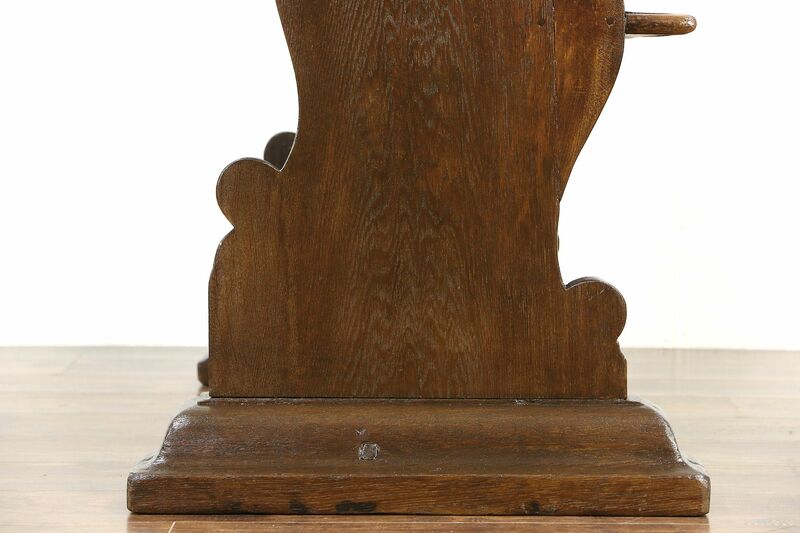 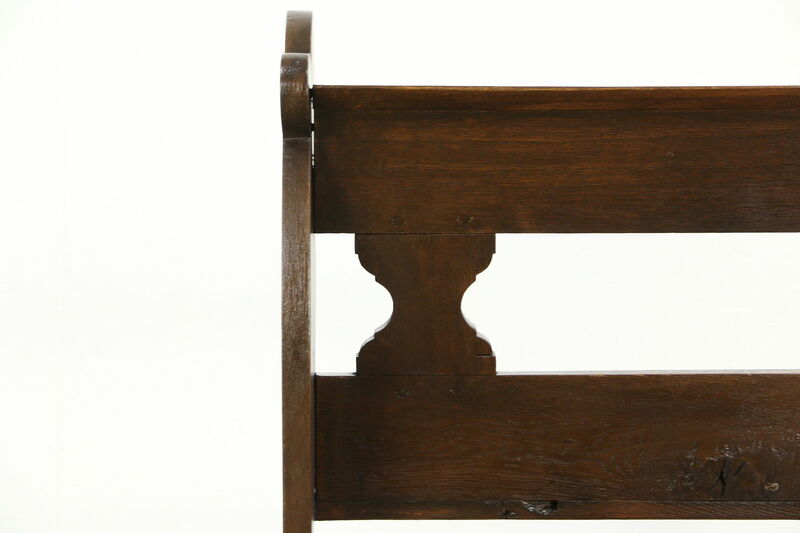 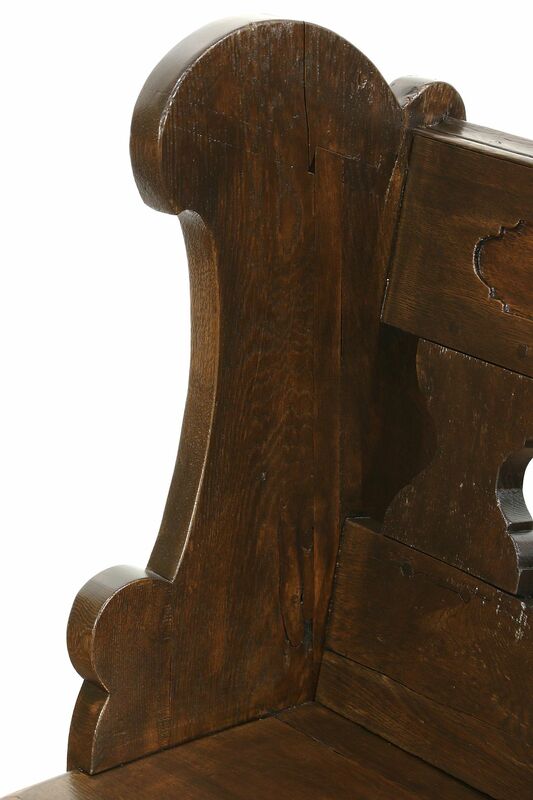 A pew or hall bench was hand hewn of solid oak in the late 1700's in Germany. 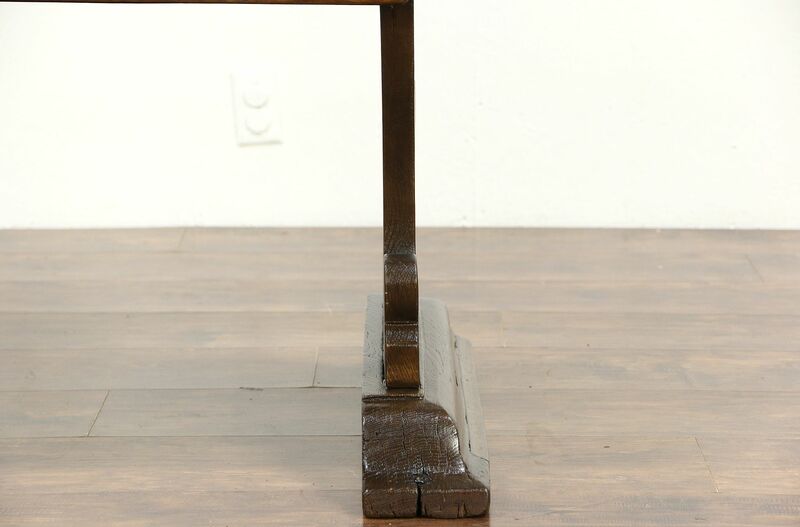 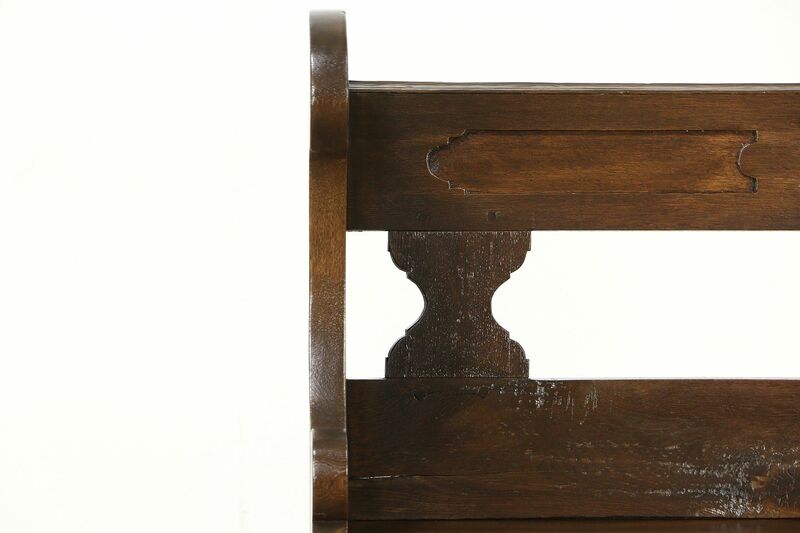 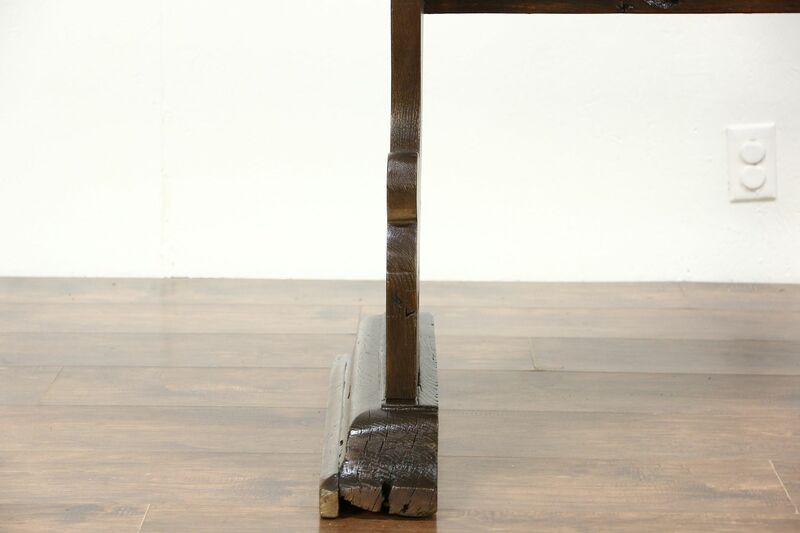 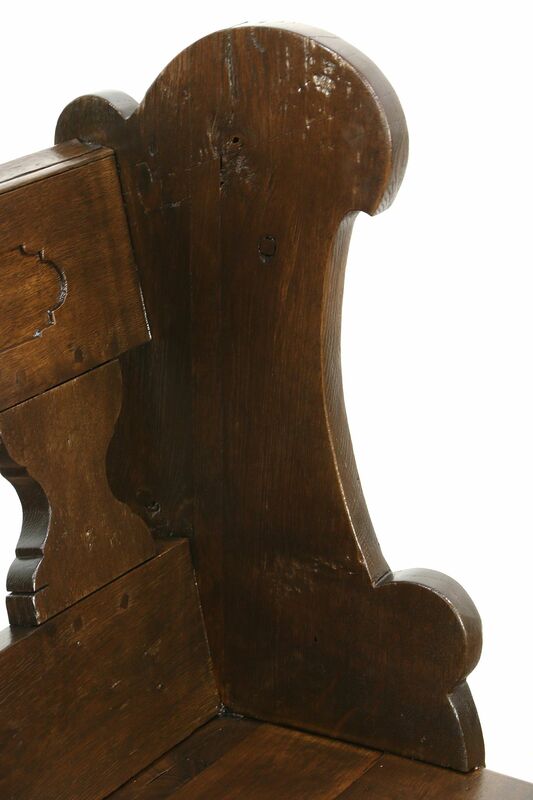 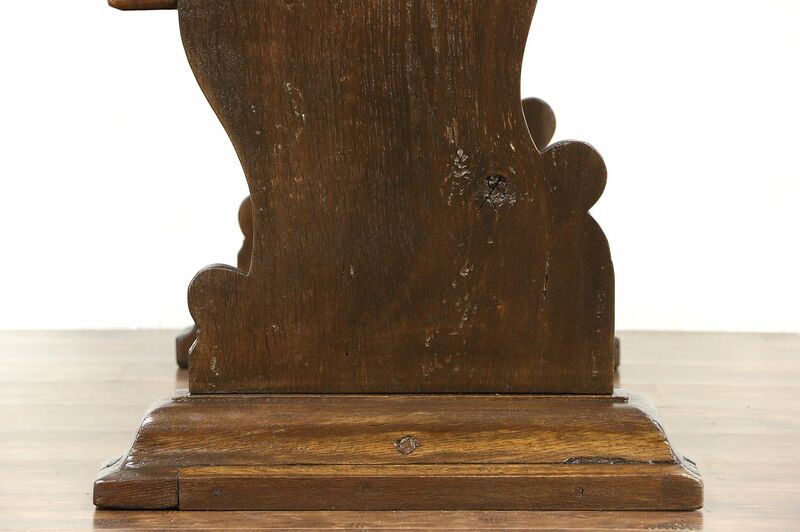 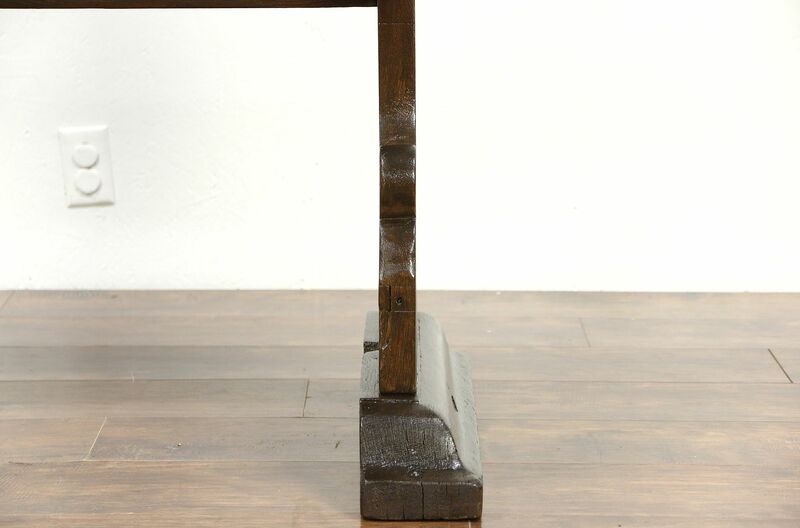 Every surface shows hand planing marks, carved wooden pegs are authentic on this European antique furniture. 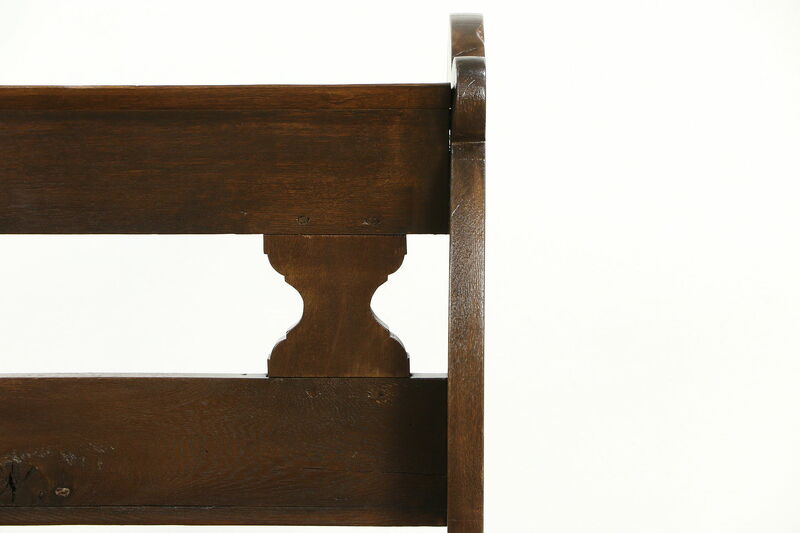 The restored finish is in excellent condition, there have been various restorations over the centuries. 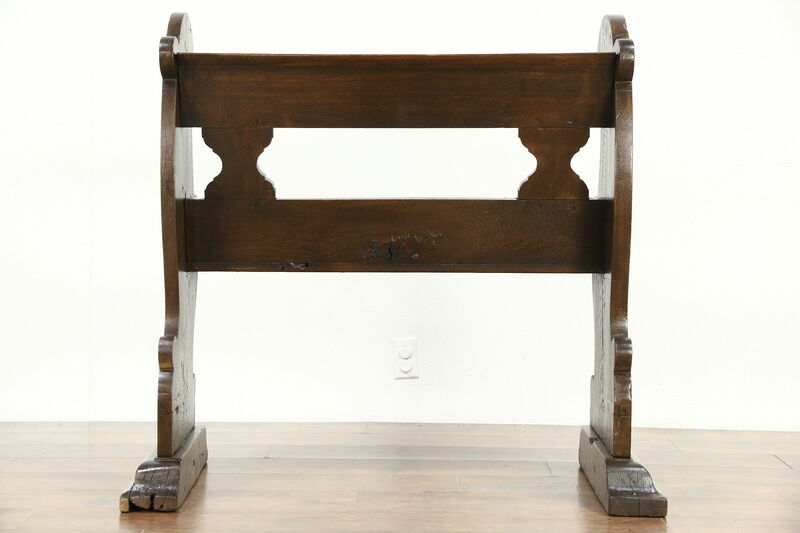 Measurements are 45" wide and 24" deep at the base, 42" tall and the seat is 20" high.